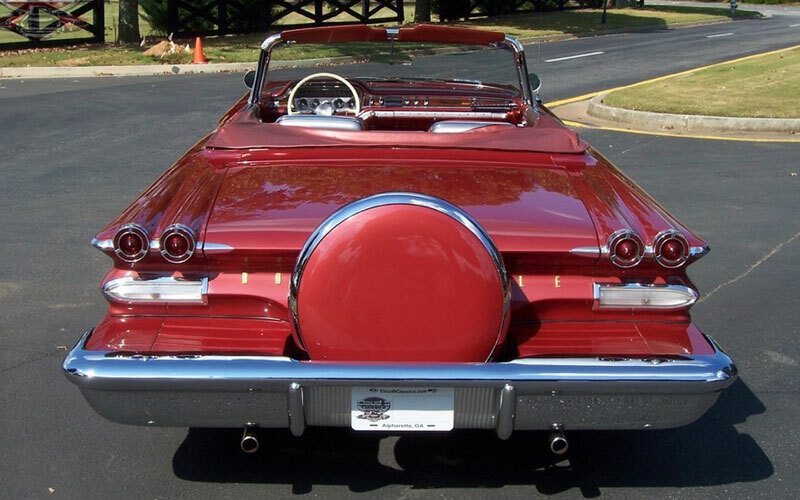 Long, low, wide and super sleek, a rare 1960 Pontiac Bonneville Convertible is more an art form, not just a classic car. The big roads of the U.S. highway system were the perfect playground for these oversized American land yachts. 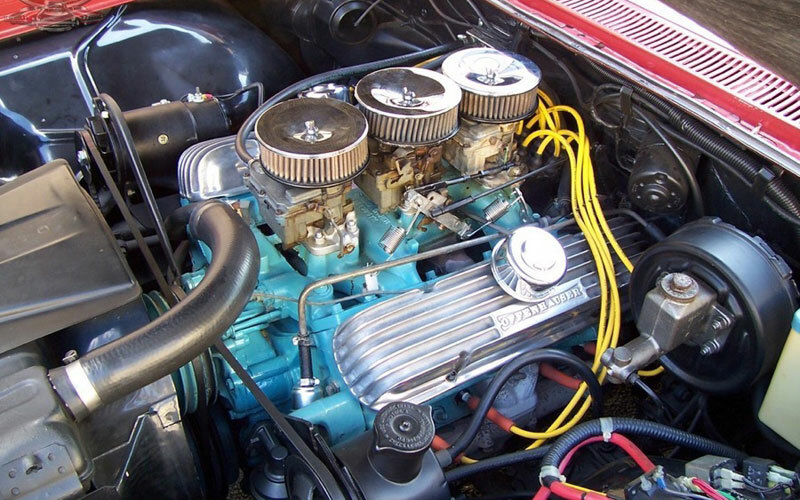 Pontiac’s smooth cruising convertibles were powered by big V8 engines and were among the most visually attractive automobiles produced in Detroit. 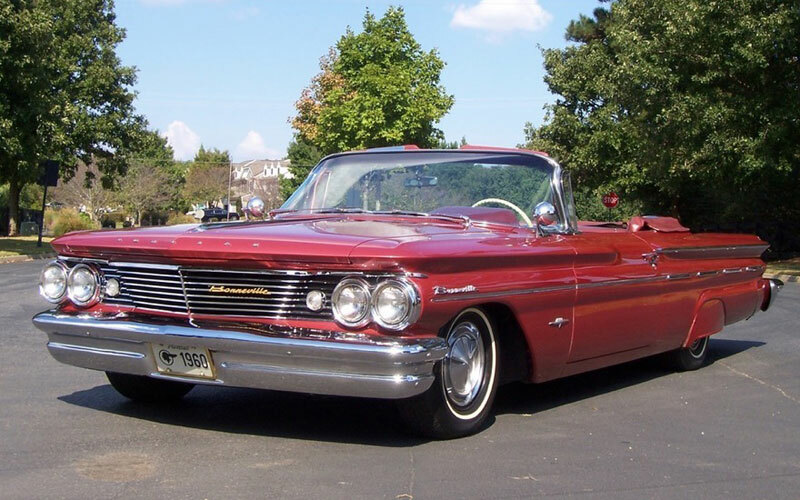 Pontiac was just plain showing off when they put the 1959 and 1960 Pontiac Bonneville models into production. The top-of-the-line Bonneville fullfilled Pontiac’s “wide-track” image and displayed the split front grille which would define Pontiac for decades. Wide-track Pontiacs perform true and smooth in the corners. The 1960 model is distinguished by its distinctive fender scripts, V-shaped crest on the lower front fenders and beltline moldings which were highlighted by four chrome “dashes” in the long rear quarter. Quad headlamps were integrated into the corners of the grille with two pairs of oval tail lamps capping off the long, rounded “fins” in back. Although 17,062 of the luxurious drop tops were built at a base price of $3,478, very few of them exist today. That has increased the collector value of these cars. It marks them as a target of the collector car investor. This old girl was ordered with the hard-to-find Continental kit which looks great and works correctly, tilting back to allow you access to the trunk and fuel fill neck when needed. 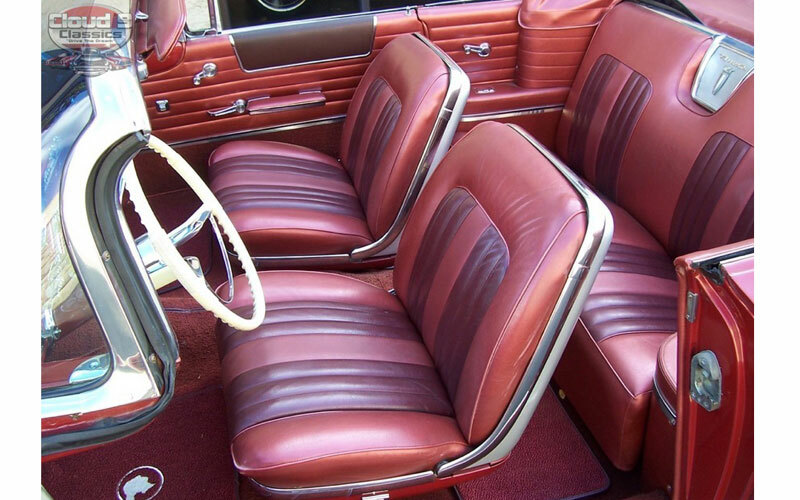 Drop the white convertible top and you expose a stunning tri-tone leather interior, one of the nicest Pontiac ever designed. Both exterior and interior are described as show quality. However, the seller notes a few minor issues with both. It includes a power front driver’s seat, power windows and an Ivory colored steering wheel. The seller describes the condition of the dash as appearing as “close to brand new.” The Walnut wood trim is described as “nice.” You will find the 28 photos very telling on condition and quality. Cloud 9 Classics tells us the big V8 motor is not original to this car. In fact, they say it has a rebuilt 400 V8 fed by a period correct looking tripower carburetor setup. They estimate that it puts out about 365 horsepower. (An original Bonneville with the 389 and a Tripower produced about 315 horsepower in the street version.) The NOM engine brings the price down into a very affordable range. They are asking $59,900. 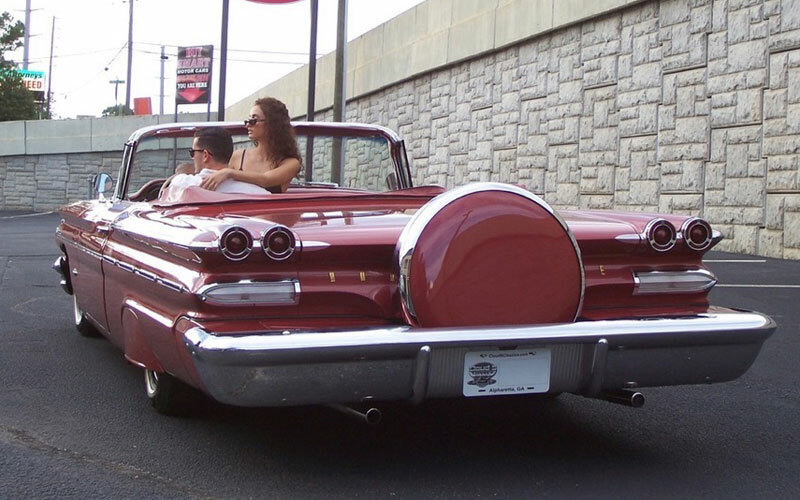 The Hagerty Value guide rates a 1960 Pontiac Bonneville Convertible with a 389 Tripower more in the six figure range. The Bonneville rides on an x-braced chassis with an unequal length A-arm front suspension and live rear axle. These cars are the ultimate cruisers with a great combination of road comfort and handling. The power steering operates smoothly for easy handling, and power brakes stop this big girl straight with ease. As you have probably noticed this ’60 Bonneville was lowered an inch or two giving her an elegant look. It is a static drop, not aided by air bags.